A recent trip to the Catalan countryside surrounding Barcelona made it clear to me once again that some of Spain’s greatest food destinations aren’t within city limits. Travelers from the US tend to hit Spain’s great cities—Madrid, Barcelona, Seville, Bilbao. But a recent trip to the Catalan countryside surrounding Barcelona made it clear to me once again that some of Spain’s greatest food destinations aren’t within city limits. Some places are famous—El Celler de Can Roca, in a suburb of Girona, is considered by some to be the best restaurant in the world. But others, less well known, are incredibly good as well. 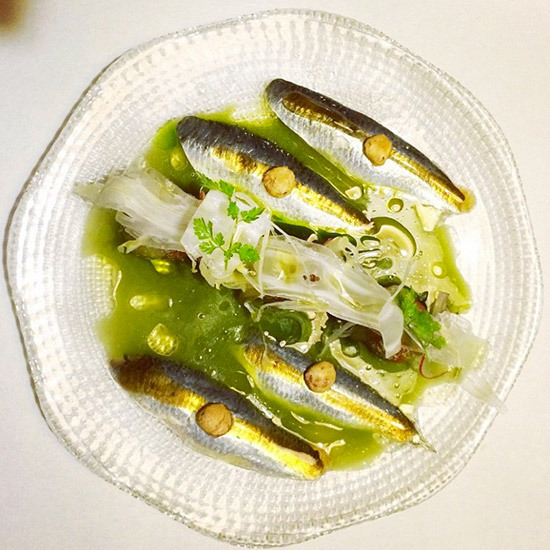 Here are five amazing dishes I had recently that prove that a trip beyond Barcelona’s boundaries is well worth the effort. The Ebro delta is also an ideal environment for mollusks, thanks to the mingling of fresh water from the river with the salt water of the Mediterranean. I was particularly impressed by the gnarly shelled, vividly briny oysters I had at a blue–painted fisherman’s shack sitting a few hundred yards off the coast, owned by the longtime oysterman (and president of the Mollusk Producers’ Union) Agustí Bertomeu. We got there by boat, then sat eating oysters and drinking cava in the sun.